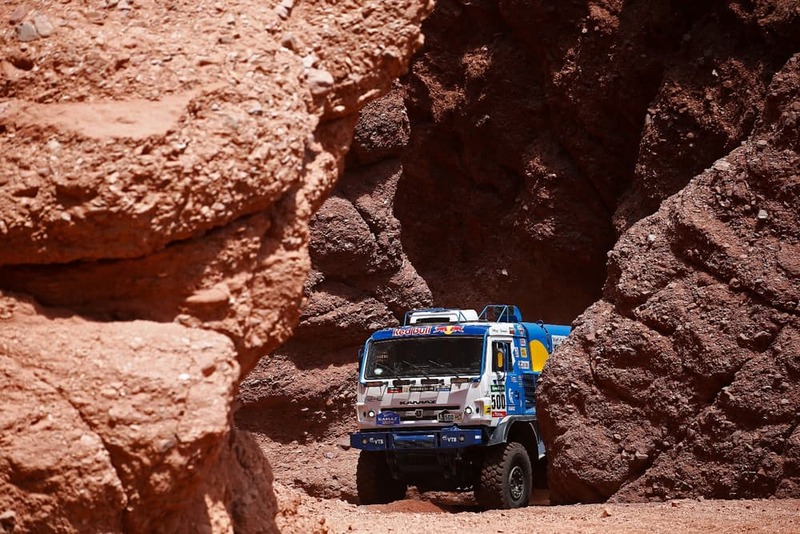 Coming off a loss to Iveco in its 2016 campaign, Russian Dakar staple Kamaz has designed an all-new truck pointed directly at the 2017 Dakar event. 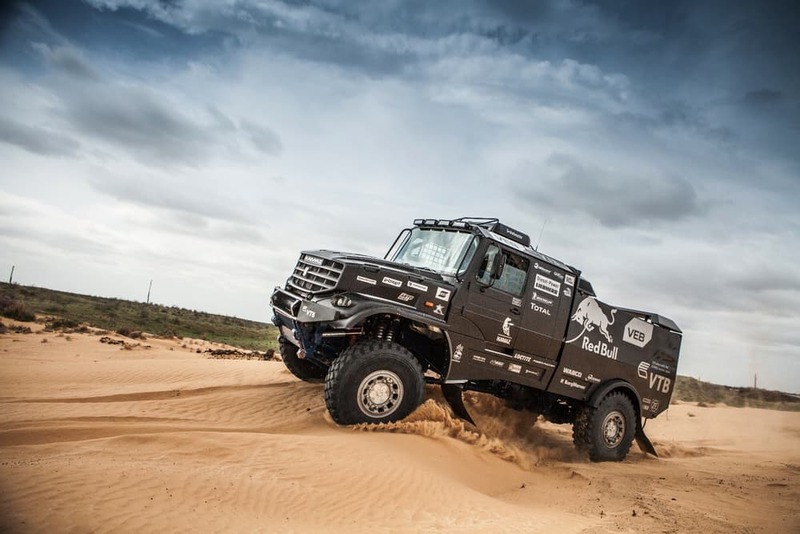 The big, bad, blacked-out Master “Kapotnik” features a new layout and a 980-hp powertrain. 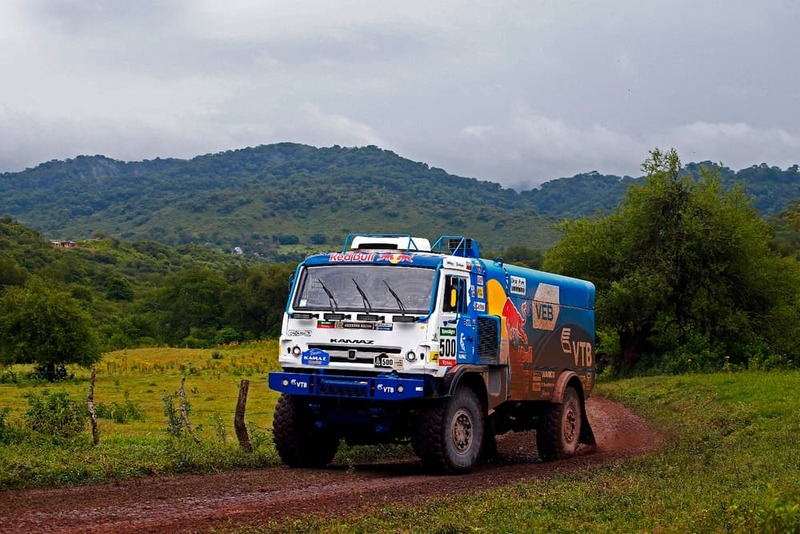 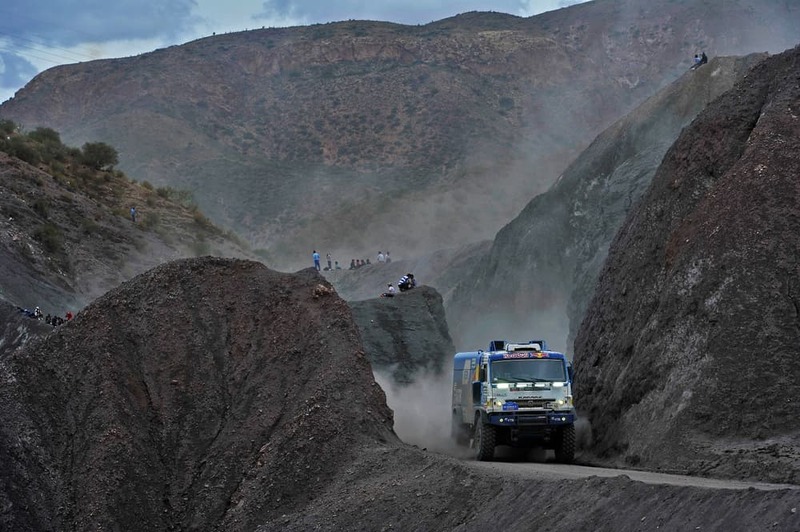 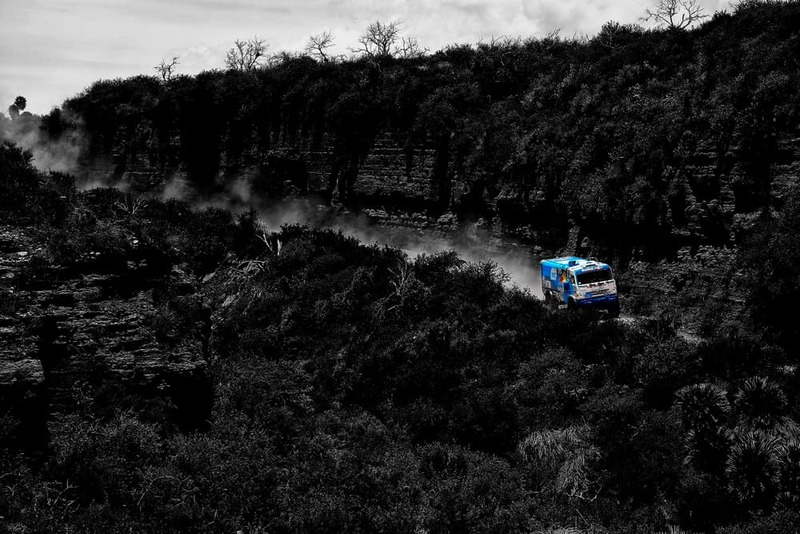 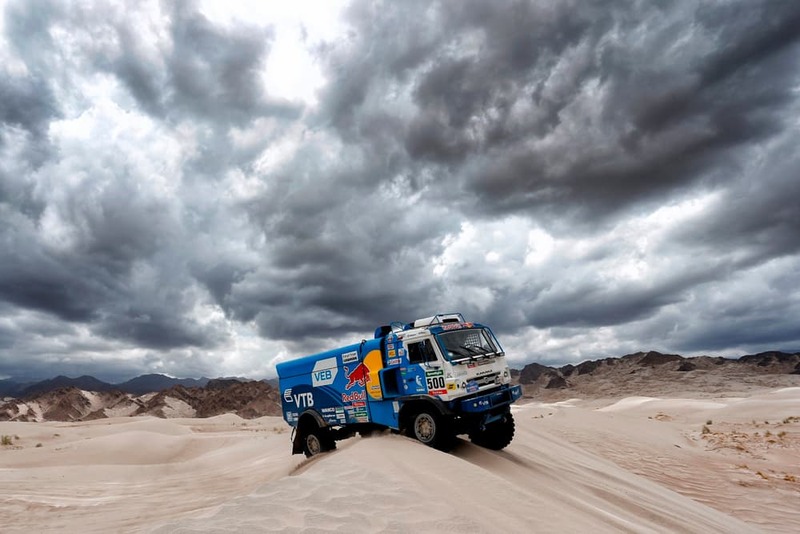 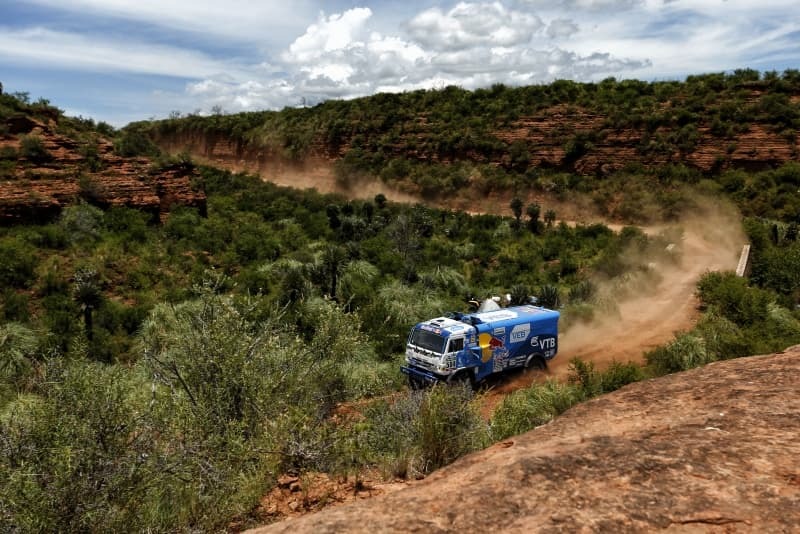 Kamaz believes it will be the truck to bring back its 14th Dakar victory. 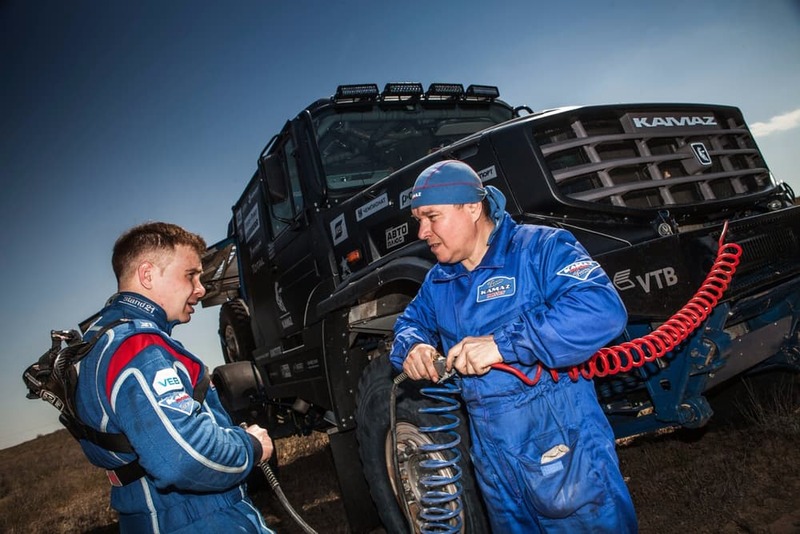 The all-new Kamaz Master leaves the tradition of forward control cabs in the past, and looks all the more rugged and powerful because of it. 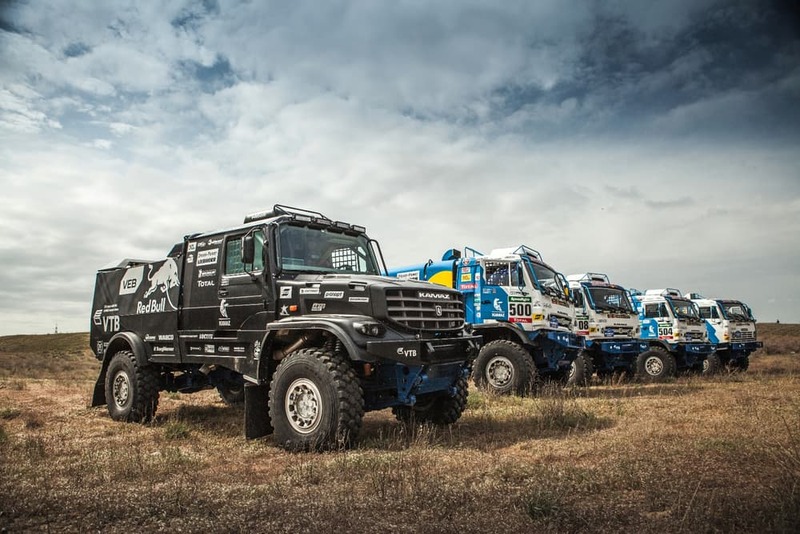 Built on the Kamaz-4326 chassis, this muscular machine has a generously sized cab set back off the front axle, behind a strong hood. 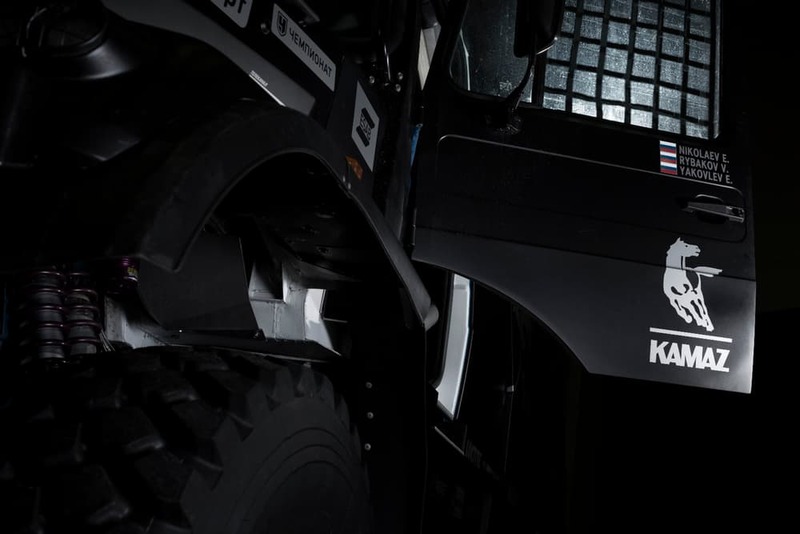 The new layout is designed to increase crew comfort and improve performance. 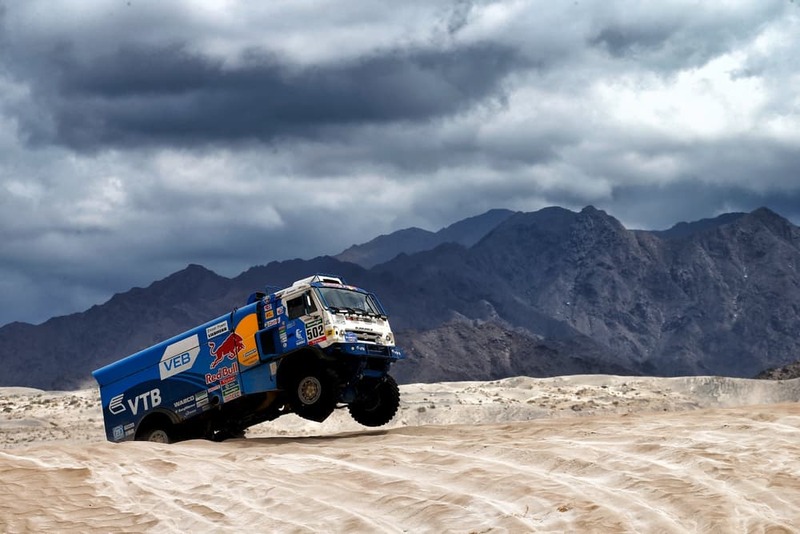 Kamaz also believes the new cab configuration, which shifts weight off the front axle and toward the center, will improve maneuverability, provide better movement over sand and offer better jump landings. 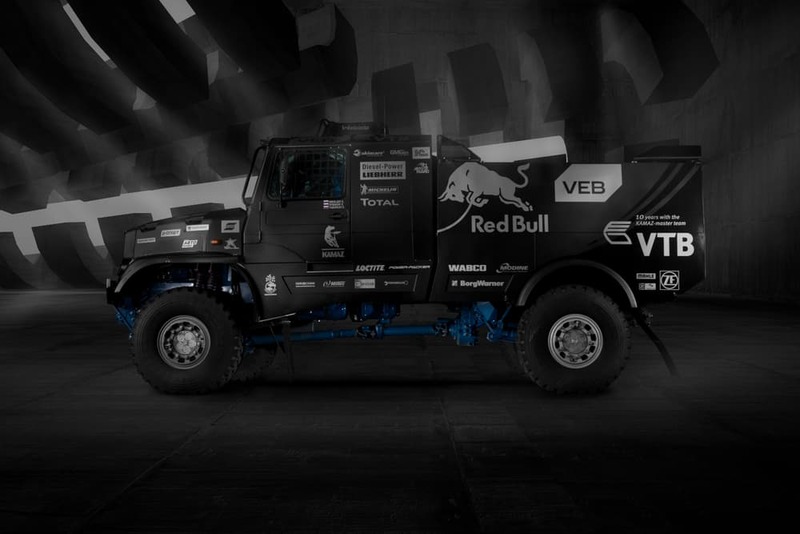 That livery stands in place of the “blue armada’s” usual blue and white, giving the truck a sinister appearance similar to what the Peugeot 2008 DKR, winner of the Dakar 2016 (car category), was wearing during development two years ago. 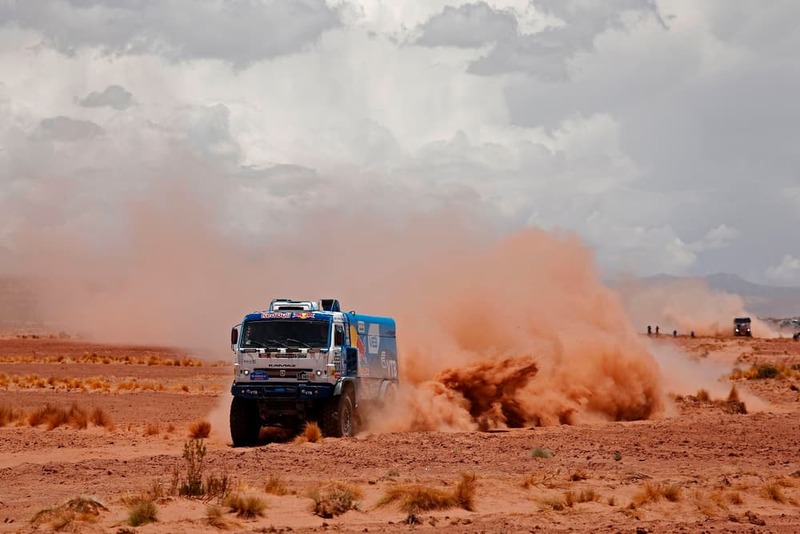 Kamaz says the new Master will reach speeds close to 100 mph (160 km/h) “on more or less any surface.” Those speeds come courtesy of the big, bulging 980-hp (731-kW) 12.5-liter diesel engine and 16-speed ZF transmission powering all four wheels. 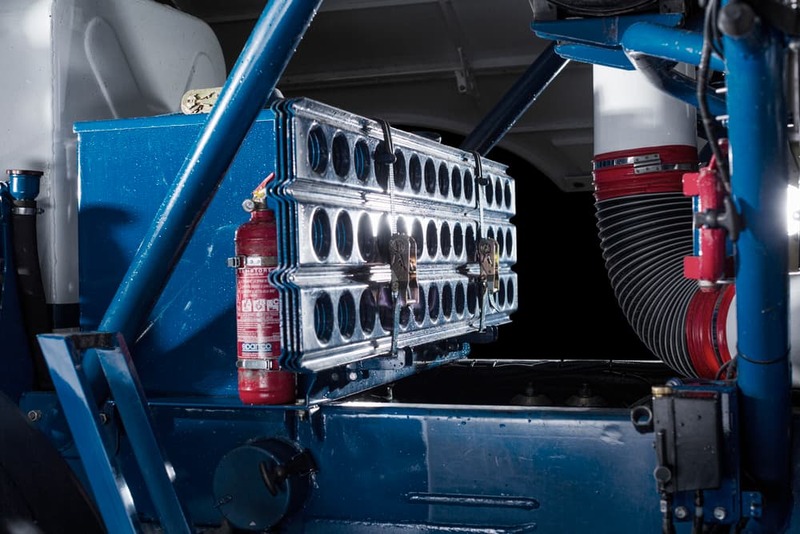 A 1,000-liter fuel tank allows the truck to drive all day and into the night. 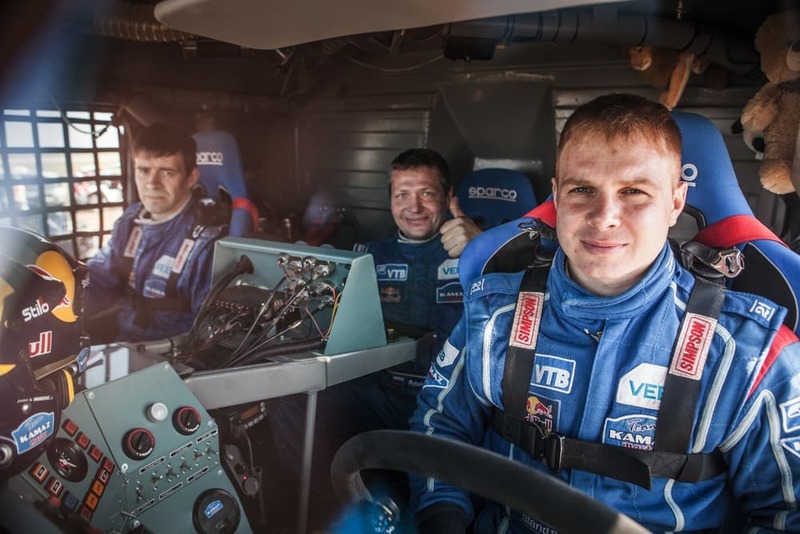 The new Kamaz Master was first revealed last year and, after some serious testing and refinement, made its competitive debut at Russia’s Rally Raid Gold Cup of Kagan in late April. 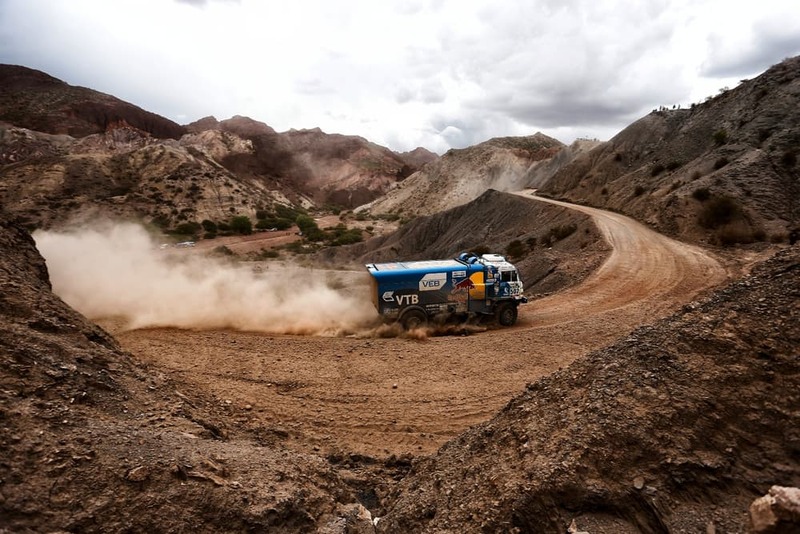 The next stop on the way to Dakar is the Silky Way Rally in July. 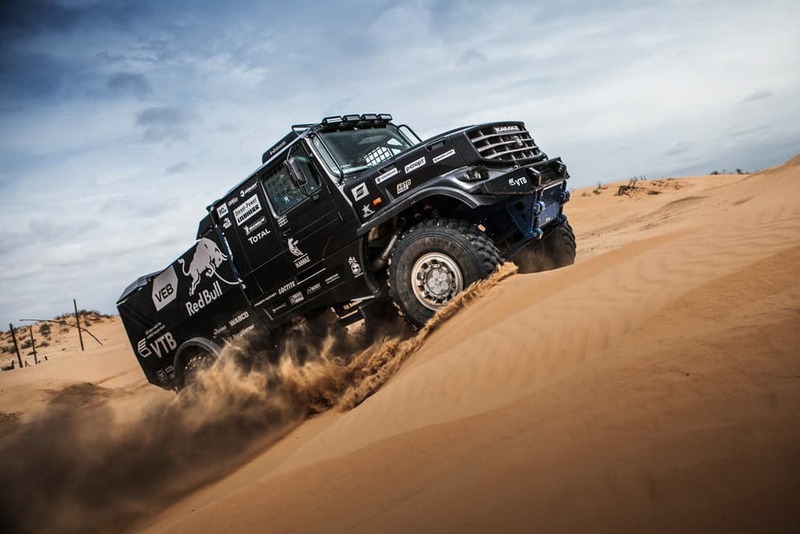 Take a closer look at the new Master in the photo gallery, where you can compare it to its predecessor shown tackling last year’s Dakar.